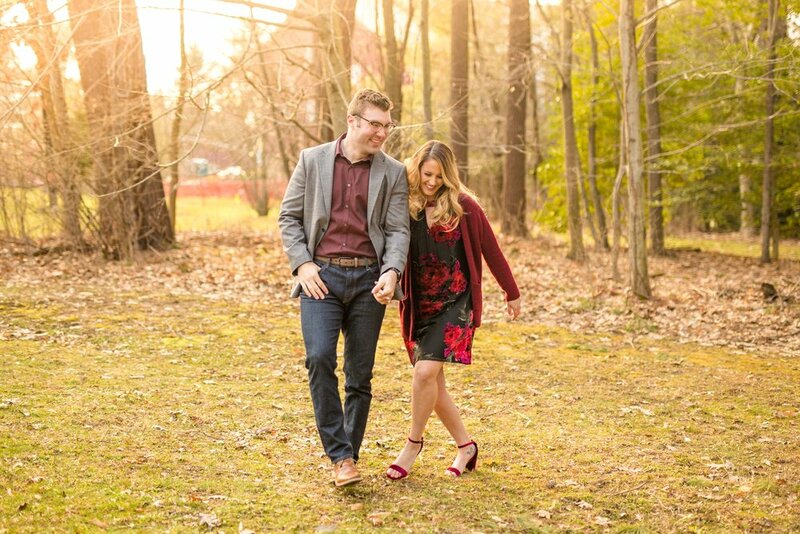 Soo I'm not sure why I never thought of using Succop Nature Park for an engagement session location, but it was literally THE perfect spot for Tamra and Chad's engagement session! 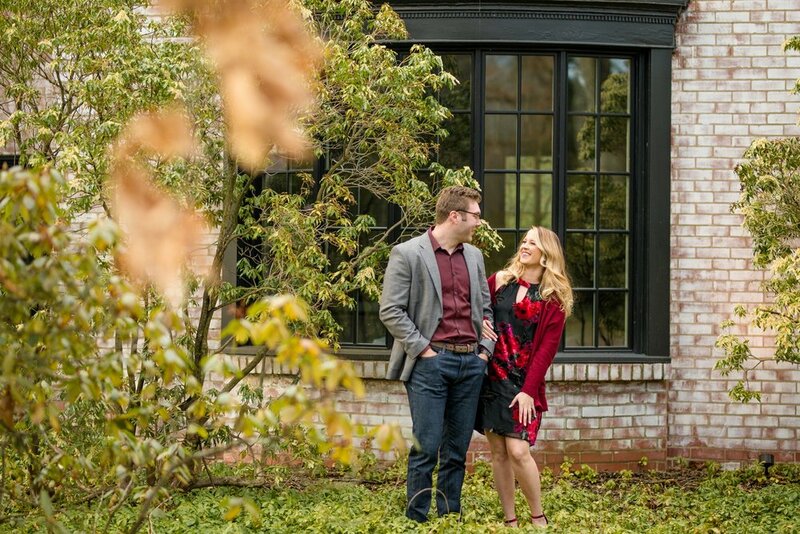 These two decided on Succop as their location because they were originally thinking about getting married there, but decided to go with a different venue. Talk about the perfect way to get the best of both worlds! 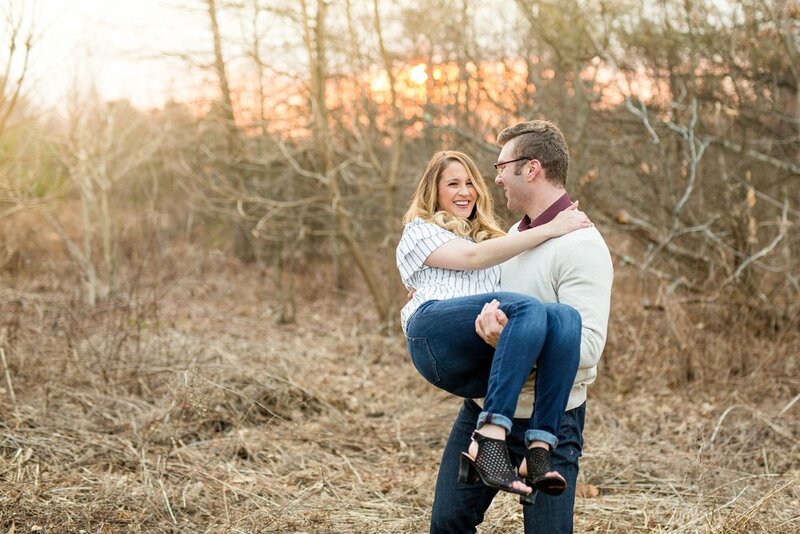 Tamra and Chad met while working at Costco and have been together for about three and a half years! Tamra is studying to become a nutritionist, and Chad works as a graphic & web designer at Sparq Designs (who I used to work for! ), which is how I've had the privilege of getting to know these two! When Chad proposed, he proposed with a freakin' puppy. Possibly every girl's dream, right?! (Unless you're a cat lover, maybe). 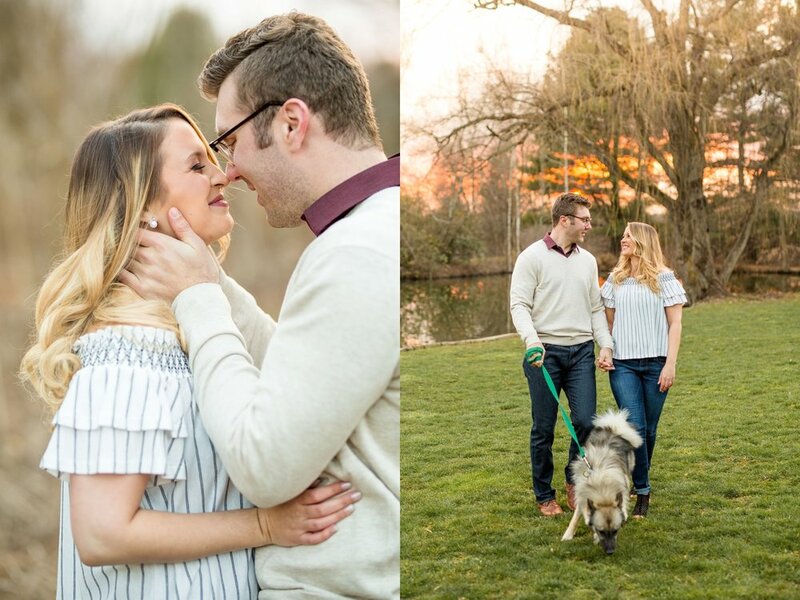 But regardless, because Tamra was proposed to with a puppy, of course we had to incorporate him into their engagement session! 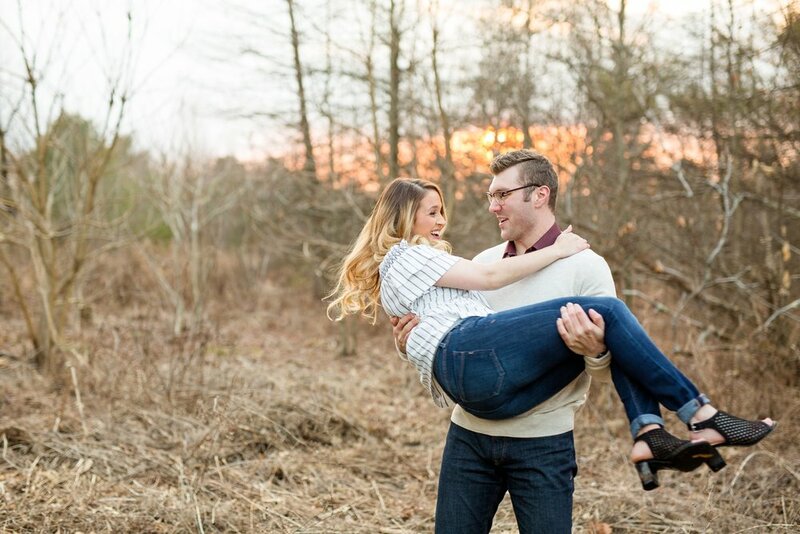 Even though it was a little chilly for their session, we were blessed with some of the most beautiful light towards the end of the session and a sunset of oranges, pinks, and yellows! I am so excited to share this one with you, friends!